There are a variety of festivals happening all year-round throughout the colorful state of Colorado. From music events, to art festivals, to celebrations of beer and food, make your pick (or go to them all)! In this eclectic list of the 10 best festivals in Colorado, there is sure to be a festival to please any type of festival-goer. Embrace the summer solstice with the Telluride Bluegrass Festival. Since the festival is always on the weekend closest to the solstice, it's truly a great way to kick off a Colorado summer. Located in Telluride, the festival actually features a variety of artists, not just bluegrass. Famous acts that have graced the outdoor stages of this famous festival include the Counting Crows, Mumford & Sons, Edward Sharpe & the Magnetic Zeroes and Kacey Musgraves. The Ride Festival, located in Telluride, is known for its mix of musical rock performances. Enjoy pure rock music in an outdoor setting this summer. Since its creation in 2012, the Ride Festival has featured incredible artists such as Pearl Jam, St. Vincent and David Byrne of Talking Heads. Head to Manitou Springs in the beginning of summer in Colorado to experience the Colorado Wine Festival. 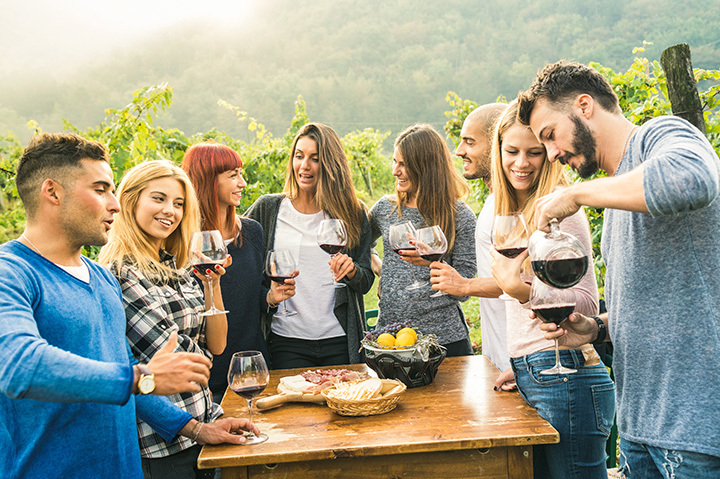 This festival is sure to boast some incredible flavors from Colorado’s best wineries as over 20 Colorado wineries participate in this one-day event. Drink wine, listen to live music and enjoy the incredible mountain scenery at Manitou Springs Colorado Wine Festival. Since Colorado is known among beer lovers as a state full of incredible microbreweries, this list wouldn’t be complete without mentioning a beer festival. The Colorado Brewers’ Festival, located in the beer-filled city of Fort Collins, features beers from over 50 Colorado breweries. A summer in Colorado just wouldn’t be complete without a cold beer, so partake in this festival every June. Crested Butte is known as the “wildflower capital of Colorado,” so it’s no surprise that this city has a festival every summer celebrating the emergence of its colorful flora. This week-long festival features guided hikes, art and even medicinal herb demonstrations. Head to Denver this summer to embrace the city’s exploding music scene at the Underground Music Showcase. With a mix of local bands and nationally-known names, the rock music lover is sure to find something to love at this four-day music fest held every summer since 2000. The scenic city of Vail hosts the Vail International Dance Festival every summer where dancing, especially ballet, is celebrated and showcased in Vail’s incredible outdoor venues. This two-week-long festival typically features renowned artists from topnotch dance companies. The art of dance and ballet is truly celebrated at the Vail International Dance Festival. The Colorado State Fair is a must-visit during the last week of August. Located in one of the oldest cities in Colorado, Pueblo, the fair features Colorado’s craft beers, Pueblo green chilies and, of course, fried fair food. Embrace Colorado culture and enjoy music, dancing and cooking competitions at the Colorado State Fair. Every Labor Day weekend, the Taste of Colorado occurs in downtown Denver. More than 50 of Colorado’s top restaurants are on culinary display during this four-day event. Eat to your heart’s desire as food is the main attraction. However also enjoy live music and booths full of Colorado heritage and culture. Oktoberfest in Denver has been known as one of the best Oktoberfest celebrations in the nation. This event attracts over 350,000 people every fall. Make sure to grab a local brew and eat some German sausage during this six-day event. View more Colorado Festivals, Fairs and Parades.